A unique daily planner designed to help today's college students manage their academic workload as well as their daily activities. 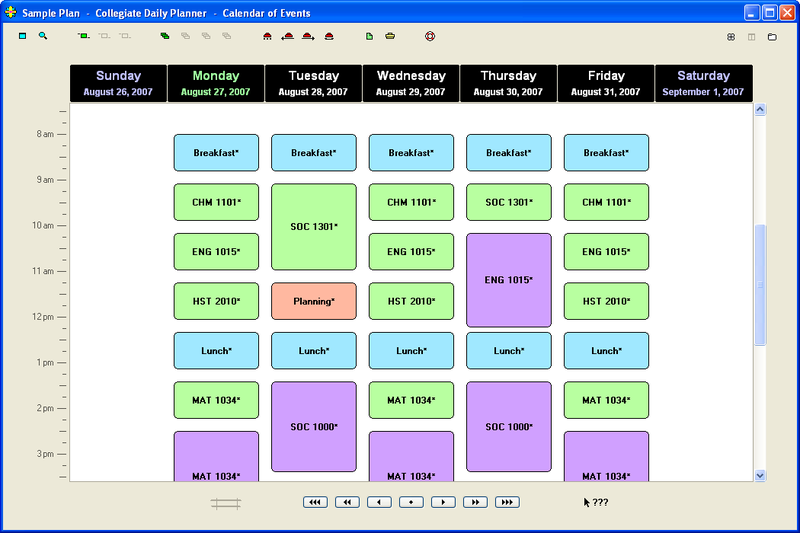 The Collegiate Daily Planner combines project management technologies with daily planner technologies to deliver a complete planning system. The daily planner function lets you plan out your days for the next 100 years. A calendar and scheduling component for the .NET framework. A time planning and to-do list software. Qweas is providing links to Collegiate Daily Planner 3.5.0 as a courtesy, and makes no representations regarding Collegiate Daily Planner or any other applications or any information related thereto. Any questions, complaints or claims regarding this application Collegiate Daily Planner 3.5.0 must be directed to the appropriate software vendor. You may click the publisher link of Collegiate Daily Planner on the top of this page to get more details about the vendor.